What makes you different from other Vancouver guitar repair specialists? I have more than 40 years of experience with different kinds of instruments and can help with virtually any type of guitar repair or restoration project. In addition to my work with touring companies, and my advanced degree in mechanical engineering, I spent 15 years as head technician at the well-known Rufus Guitar Shop. I dropped my guitar and now it has a large crack. How can I get an estimate for guitar repair? After dozens of years repairing guitars, I’ve learned that no two cracks are the same. The best way to get an estimate for time and guitar repair costs is by bringing your instrument into my workshop where I can take a closer look. Do you charge for guitar repair estimates? No, all estimates are completely free, with no obligation to work with me. Do you appraise guitars for sale? No. I’ve found that I’m much better at repairing guitars than I am at selling them or appraising their value, which requires a different sort of knowledge. Absolutely! I handle dozens of major and minor restoration projects every year and always enjoy seeing a great instrument come “back to life.” Please check out my photo section to see examples of my premium guitar restoration work. Yes. When you see me about a guitar repair or restoration project, I can give you the details of my warranty. Rest assured that when you work with me, I’ll be here to stand behind any repairs or maintenance I’ve done. How can I keep my guitar in great shape? The best way to keep your guitar looking and sounding at its best is to simply treat it like an instrument you love. That means cleaning it regularly, wiping down the strings after you’ve played, storing it on a stand in a safe, climate-controlled environment, and bringing it to my Vancouver guitar repair shop for regular maintenance. Will you create a copy of another guitar? No. I repair guitars, but don’t copy other models. Can you partially re-fret a guitar? Generally speaking, yes. However, this type of work can only be done to a guitar if the first five to seven frets have big grooves, with the others being in good condition. Additionally, the fingerboard must be perfectly straight. If neither of those conditions is met, I highly recommend a complete re-fret, as one fret can become an uneven height and eventually cause buzzing, dull tones, and other difficulties. Higher frets give your guitar a longer life, a much better sound, and increased playability. Feel free to stop by my workshop and have me assess your guitar for partial or complete re-fretting. What causes grooves in my guitar’s fingerboard? Grooves in a guitar’s fingerboard can be caused by low-profile frets or an individual’s style of playing. To see what’s needed for repair, visit my workshop and let me assess the problem. Which is better: a re-fret on my guitar or fret leveling? Often, leveling a series of worn frets will make a guitar sound and feel better, and this procedure can usually be done several times over the life of a fret. However, if the frets are very worn, leveling them all will result in low frets up and down the neck, which could make a guitar very hard to play. For an answer specific to your guitar, call me or visit my workshop for a quick assessment. Although many guitar players tend to think that uneven frets are caused only by wear, poor installation can also be a factor. Either way, the best way to get a quote is to bring your guitar in for an estimate. What causes buzzing on my guitar? Buzzing is typically caused by flattened frets, which don’t allow the string to find a single point of contact, causing a flat against the top of the frets (and the resulting buzzing sound). This phenomenon is just one more good reason to replace old and worn frets on your guitar. How often does my truss rod need to be adjusted? This can vary from one guitar to another, not to mention the environment it’s stored in and the way it’s played. The major factors that affect truss rod life include climate and string gauge. Heavier strings apply more tension to the neck of your guitar, which can cause an upward or backward bow. 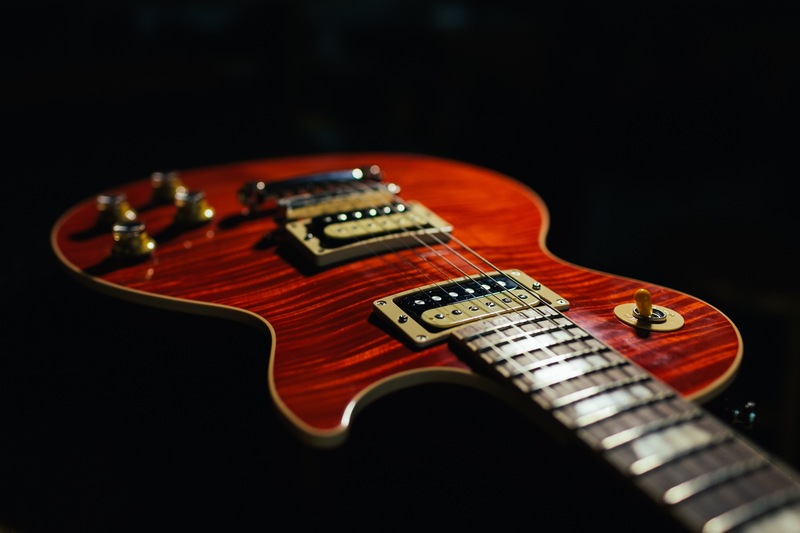 If your instrument becomes difficult to play, or begins to buzz in a particular section of the neck (and especially the first through fifth frets), then it’s time to bring it to a professional guitar repair specialist for evaluation.